Gina Ciganik, Chief Executive Officer, has been growing and scaling HBN’s vision since assuming the CEO role in 2016. Previously she served as Senior Advisor for Housing Innovation, establishing and leading the HomeFree initiative, an expansion of HBN’s healthy materials work into the affordable housing sector. Recognized as a national leader in transforming human and environmental health through strategic partnerships, innovative business practices, education, and leading-edge research, Ciganik has a proven track record of creating healthier spaces where we live, work, and play. Prior to HBN, she was Vice President of Housing Development at a Minneapolis-St. Paul area affordable housing development organization, where she spent two decades creating thousands of healthy, affordable homes. Her efforts culminated in the construction of The Rose, a 90-unit apartment building in Minneapolis that set a new national standard for healthy materials. Michel Dedeo, Manager of Chemical Data Systems, is responsible for leading the development of the Pharos Project's Chemical and Material Library. 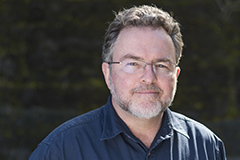 Michel received his doctoral degree from UC Berkeley and has worked on material health issues with the Green Science Policy Institute, Perkins+Will, GreenScreen for Safer Chemicals, and the UC Berkeley Center for Green Chemistry. Sarah Gilberg, Developer, has worked with HBN since 2006, beginning as Administrative Assistant and later as Accounting Associate before taking on her current position. She works on Portico, the Chemical Hazard Data Commons, Pharos, and the HBN website, as well as social media and other technology and communications needs for HBN. 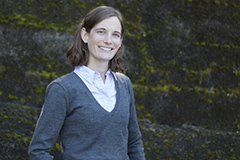 Sarah holds a BA in biology from Carleton College and an MBA from George Washington University. Bruce Green, Chief Operating Officer, has 33 years experience in business operations, change management, and software development. Bruce will advance HBN's organizational systems and lead our technology and data platforms into their next chapter. Prior to joining HBN, Bruce was COO of Navitaire (within Accenture LLP), an airline SaaS business he helped grow into a global industry leader. There, he led day-to-day business operations, helped increase product quality, and drove customer satisfaction to over 95 percent of target. He also led the 20-month, $830M carve out sale of the Navitaire business from Accenture into Amadeus. Bruce holds a BS in Computer Science from the University of North Dakota. Teresa McGrath, Chief Research Officer, leads HBN’s Research and Education strategies. With prior experience in government, NGO and industry, she brings a wealth of holistic knowledge and multi-sector experience to our team. Teresa led the Chemical Management Program for Sherwin-Williams, the largest paints and coatings company in the world, where she focused on hazards reduction and transparency, and assisted business units in meeting sustainability and green chemistry goals. She also spent nine years as the Senior Managing Toxicologist at NSF International’s Green Chemistry Programs, and two years at the Environmental Protection Agency in the Design for the Environment (DfE) Branch of the Office of Pollution Prevention and Toxics (OPPT). Sarah Pickell, Financial Manager, is responsible for the fiscal management of HBN. Having spent the previous 16 years with The Judge David L. Bazelon Center for Mental Health Law, Sarah brings over 20 years' of financial and administrative expertise to HBN. Teresa Skaar, Business Performance Manager, ensures optimal productivity for the organization by developing, overseeing, and regulating various work systems and procedures. This includes managing HBN's computer systems, project management processes (Agile) and quantity-control measures. Teresa works to integrate the organizations Balanced Scorecard (BSC) with departmental project initiatives to track and report out on organizational metrics, analytics, and goals. Teresa joined HBN in 2016 as an Executive Assistant, and was promoted to Project Manager for the engineering team. She brings a diverse background to her position, having spent seven years as an office and marketing manager in the architectural industry, and five years in the affordable housing industry, working in both housing development and property management. 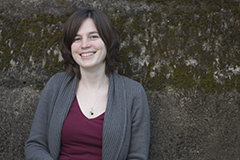 Rebecca Stamm, Senior Researcher, works with the team at HBN to conduct vital building materials research. She has a B.S. from Rose-Hulman Institute of Technology and M.S. from Purdue University where she studied Chemical Engineering with a focus on materials. Rebecca has worked extensively in materials development and testing, quality control, and certification, including more than three years in the building materials industry. She is excited to be a part of the HBN team's important work to improve the health and safety of buildings. Jon Stavis, Technology Manager, has been working with HBN since 2015. He works closely with the rest of the Development team on architecting, building, and maintaining HBN’s technologies including HomeFree, the Chemical Hazard Data Commons, Pharos, and HBN’s development infrastructure. In the past, Jon has built enterprise systems and worked with early stage companies in many sectors including finance, angel investing, food, wellness, forensics, certificate authorities, and GIS. Bill Walsh, Founder and Board President, created Healthy Building Network in 2000 to define the leading edge of healthy building practices that increase transparency in the building products industry, reduce human exposures to chemicals in building materials, and create market incentives for healthier innovations in manufacturing. He has been Visiting Professor at Parsons School of Design, and currently serves on the HPD Collaborative board, and the Advisory Board of the Healthy Babies Bright Futures initiative. In 2012 Bill received the US Green Building Council’s Leadership In Advocacy Award and was named a Fellow at the Lowell Center for Sustainable Production at the University of Massachusetts. In 2013 Bill was awarded the Healthy Schools Hero by the Healthy Schools Network. William Weber, Collective Impact Director, oversees the leadership and design of HBN’s communities of practice and educational activities, with a focus on the HomeFree Affordable Housing Initiative. A widely sought and accomplished speaker, technical advisor, and facilitator on innovative projects regionally and nationally, Weber’s work focuses on the integration of sustainability and architecture through applied research, exploring and developing tools to evaluate and compare what are often disparate aesthetic, economic, and environmental goals. Before joining HBN he served in multiple roles over a nearly 20-year stint at the University of Minnesota, including as Senior Research Fellow at the Center for Sustainable Building Research and Lecturer at the School of Architecture. Weber has both a B.A. and M.Arch. from the University of Minnesota. Brophy Christensen, partner at O'Melveny's San Francisco office and co-chair of the Capital Markets Practice, has extensive experience representing issuers, underwriters, and investors in a wide range of public and private equity and debt offerings and exchange offers, including initial public offerings, high-yield debt financings, and convertible offerings. These transactions have involved companies in a variety of businesses, including financial services and banking, life sciences, REITs, semiconductors, computers, electronics, software, entertainment, and telecommunications. Brophy regularly advises investment banking clients on securities law-related matters and corporate clients on general corporate matters, including corporate governance, securities, and Sarbanes-Oxley matters. Brophy also represents buyers, sellers and financial advisors in connection with public and private strategic transactions, including mergers, stock and asset acquisitions, joint ventures, spin-offs, and recapitalizations. Mary Davidge, Director, Google's Real Estate & Workplace Services, and her team are responsible for helping to define the design vision for Google's campus-scale real estate projects. Her team works with Google's senior business leaders as well as design & engineering partners to translate this design strategy into innovative work environments that align with Google's culture and help employees perform at their best every day. Mary was recognized as a Living Building Challenge Hero in 2012, and also named a LEED Fellow in 2014. Additionally, Mary is a founding member of the Health Product Declaration Collaborative Board and serves on the Cradle to Cradle Products Innovation Institute Certification Standards Board. Bradford C. Grant, Professor of Architecture, Department of Architecture of the College of Engineering and Architecture at Howard University, Washington DC, has been in leadership roles at Hampton and Howard Universities as Chairperson, Director, Associate Dean and Interim Dean. As an architect and a distinguished educator he has extensive experience in community design, universal design, contemplative practices in design education, and social and cultural factors in architecture. His community design work, research on the role of African American architects and his teachings on “Drawing as Meditation” have earned him multiple awards, including the Universal Design Education Award and the American Institute of Architects (AIA) Education Honor Award. Grant is past president of the Association of Collegiate Schools of Architecture (ACSA), the national organization representing Schools of Architecture, a former board member of the National Organization of Minority Architects (NOMA) and a member of the Fetzer Institute’s Advisory Council on the Design Professions. Yianice Hernandez, Director of Capital Planning for the New York City Housing Authority (NYCHA), oversees the allocation of federal, state and city capital resources to preserve NYCHA’s housing stock to provide safe, clean, connected homes for over 400,000 New Yorkers. Previously, she served as Director of Healthy Living by Design at the NYC Department of Health and Mental Hygiene, where she led the development and implementation of citywide initiatives that promote healthy community development. Prior to working with New York City, she served as Director of Enterprise Green Communities with Enterprise Community Partners, Inc., where she directed the execution of strategic programmatic priorities that advanced green affordable housing nationally. Yianice has a bachelor's degree in Sociology from Pace University and a master's degree in nonprofit administration from the University of Notre Dame. Amanda Kaminsky, Founder of Building Product Ecosytems, operates multi-disciplinary collaboratives that evolve feedstocks, infrastructure, and logistics for optimal systemic health and performance of major building materials on behalf of building owners and their supply chains and recycling networks. Amanda carefully pilots improvements on projects under active development with building owners, manufacturers, recyclers, contractors, designers/engineers, regional policy makers, and academic researchers. Collective pilot learnings are shared amongst collaborators for expedited industry progress. Informed by piloting and lab testing, solutions are quality-controlled and streamlined for scaled implementation via evolution of existing codes/standards, and creation of new ones. BPE was originally founded by Amanda and the Durst Organization as a public private partnership with The New School, City University of New York, Healthy Building Network, and Vidaris. Amanda serves as former vice chair of HBN's Board of Directors. Monica Nakielski, DIRECTOR, Sustainability & Environmental Health, Blue Cross Blue Shield of Massachusetts, and her team are responsible for providing vision and leadership in the design and development of BCBSMA’s sustainability and environmental health strategy. Her team works with BCBSMA’s senior business leaders, vendors and manufacturers, and community partners to align and implement the environmental health strategy and to create business, environmental, and societal value. Previously, Monica managed the sustainability program at Partners HealthCare, a Boston-based health system founded by Massachusetts General Hospital and Brigham and Women’s Hospital. There Monica led and managed sustainability efforts t across 16 facilities: 13 hospitals, two long-term care facilities, and one mixed-use administration building. Prior to Partners HealthCare, Monica consulted to a wide variety of companies, non-profit organizations, government agencies, and more within strategy and management and/or corporate social responsibility with a focus on environmental sustainability. Monica serves as a member of the steering committees for Farm to Institution New England and The Chemical Footprint project, as well as a member of the City of Boston’s Zero Waste Advisory Committee. 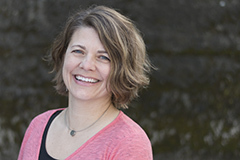 Monica has a bachelor’s degree in Medical Microbiology and Immunology from the University of Wisconsin-Madison, a master’s in business administration from Simmons College, and has completed executive education in sustainability leadership from the Harvard T.H. Chan School of Public Health. 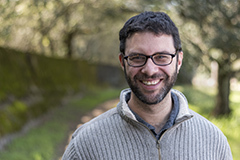 David Rapaport, Global Social Mission Officer, Ben & Jerry's, has been a sustainability thought leader for over 30 years, spanning the business, non-profit and government sectors. Previously Vice President of Earth and Community Care for Aveda, he helped drive the company’s mission to care for the world and strive for environmental leadership and responsibility. 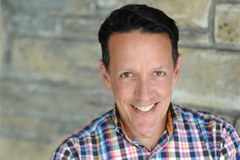 Prior to Aveda, Dave worked with the Governor of Vermont to help oversee Tropical Storm Irene recovery efforts. He held multiple leadership roles with green household care products pioneer Seventh Generation, and has experience in the renewable energy field. Dave spent two decades in public policy, as Executive Director of the Vermont Public Interest Research Group and in various leadership roles with the environmental organization Greenpeace, including directing national work on toxic chemicals and pollution prevention. He was adjunct professor at the University of Oregon and consultant for UNICEF and other international agencies on sustainable development, waste management, sanitation, and marine pollution. Dave serves as Board Chair of HBN's Board of Directors. George Salah, Chairman & CEO, of Apparent, Inc. -- a technology energy company, providing products and services to maximize the performance of renewable energy assets and the creation of the smart grid. Previously George had served as the Director of Real Estate and Workplace Services at Google Inc. responsible for real estate and facilities worldwide. Joining the company in 1999, he and co-founders Larry Page and Sergey Brin created the company's famous culture as their employee base grew from 35 to over 50,000, from a small 4,000 square foot office in Palo Alto to 20 million square feet of office space in 125 cities in 55 countries. Prior to Google, Salah was an Executive of Oracle's Real Estate group and has 32 years of corporate real estate and construction management experience. He has demonstrated expertise in managing the hyper growth of large-scale organizations. Throughout his career, Salah has been focused on energy efficient design and developing spaces optimized to support the health and well-being of people and the environment. Salah also served on the Board of the International Living Future Institute (ILFI). George serves as immediate past chair of HBN's Board of Directors. Murali Selvaraj, CHIEF INFORMATION OFFICER, of Perkins+Will is responsible for all facets of the firm’s information and knowledge management architecture. He is directly involved in establishing the vision for the firm’s information systems and services – one that creates a high-performance culture through agile, innovative use of tools and technologies. Trained as an architect, Murali worked with some of the firm’s high profile corporate clients on strategic planning and consulting engagements. He led complex projects that required an integrated, systems-driven emphasis – projects related to portfolio planning, real estate information management, and scenario-driven strategic planning. His clients included Hewitt Associates, AT&T, Nuveen Investments, and Schneider Electric. At Perkins+Will, Murali helped launch the the new generation of Transparency Website in 2017, creating a much smarter data-architecture and a more refined navigation and user experience. He also works across the spectrum of the firm’s Green team leaders, orchestrating a data-driven process to implement their vision and operational goals. Murali serves on advisory boards of some of the top AEC technology firms such as Bluebeam. He is also a charter member of the Built Environment Innovation Network. Linda Sorrento, FASID, IIDA, LEED Fellow, is PRINCIPAL Sustainability Practice at Sorrento Consulting and advisor for the NIH Health in Building Roundtable. The impact of interior environments on human health and performance has informed her career as an interior designer, educator, and health advocate. 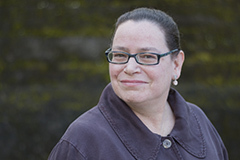 She was the inaugural Executive Director for National Academy of Environmental Design for multidiscipline expertise and research on issues such as climate change, resource depletion and health, and consulted with the General Services Administration on tools to identify cost-effective green building and procurement strategies. Linda serves on AIA's Materials Knowledge Working Group and is on a working group to mindful MATERIALS, a design industry initiative for building products. 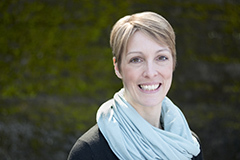 Linda was Senior Director of Education Partnerships for the US Green Building Council (USGBC), spearheading market transformation efforts, and Director of LEED for Commercial Interiors. Before USGBC, Linda simultaneously practiced as a corporate interior designer and served as an assistant professor at George Washington University and Northern Virginia Community College. Linda serves as treasurer of HBN's Board of Directors. Bill Walsh, Founder and Board President, created Healthy Building Network 2000 to define the leading edge of healthy building practices that increase transparency in the building products industry, reduce human exposures to chemicals in building materials, and create market incentives for healthier innovations in manufacturing. He has been Visiting Professor at Parsons The New School for Design, and currently serves on the HPD Collaborative board, and the Advisory Board of the Healthy Babies Bright Futures initiative. 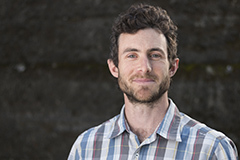 In 2012 Bill received the US Green Building Council’s Leadership In Advocacy Award and was named a Fellow at the Lowell Center for Sustainable Production at the University of Massachusetts. In 2013 Bill was awarded the Healthy Schools Hero by the Healthy Schools Network.